One of the most popular of the Croatian islands, Losinj is famous for its lush green vegetation. 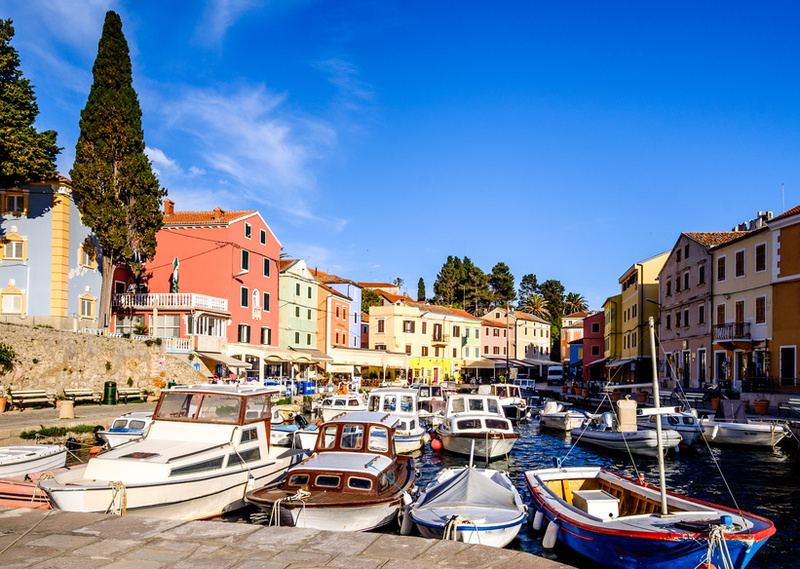 The main resort is the town of Mali Losinj – the largest town on both this island and neighbouring Cres – whose harbour is said to be the most beautiful in the entire Adriatic. The tourist area is centred around Cikat bay, which is well known for its beach and its good windsurfing options. 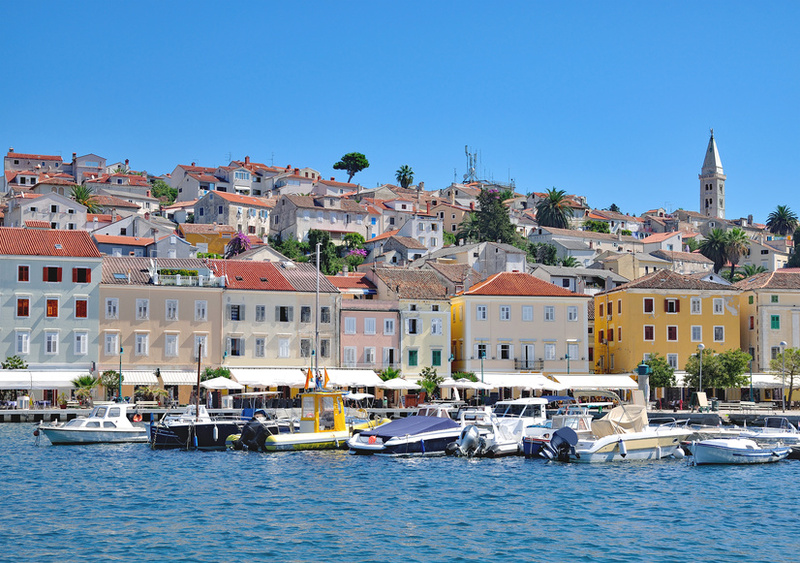 The town of Veli Losinj is quieter and there is easy access to it from Mali Losinj. One of the strangest islands in this region is Susak. This island has a small population of less than 200 who speak their own dialect, which is not easily understood by other Croats. It is also distinct because the women often dress in colourful costume, comprising of a short, multicoloured dress, white blouse and red leggings. as been rebuilt since then. The Church of the Nativity of the Virgin was largely built in the first half of the 18th century, and contains paintings of the Virgin Mary by Venetian artist Vivarini, as well as a selection of items that were gifts by the sea captains of Mali Losinj. Veli Losinj is also home to some churches, including the 18th-century Church of St Anthony, which contains Italian paintings, and the gothic-style Church of St Nicholas. The Losinj Marine Educational Centre in Veli Losinj contains permanent and temporary multimedia exhibits. It also hosts lectures and workshops. There are a number of hotels (1 to 4 star) in Mali Losinj, Veli Losinj and Nerezine. Private accommodation is also available. See our Accommodation on Losinj section for more.